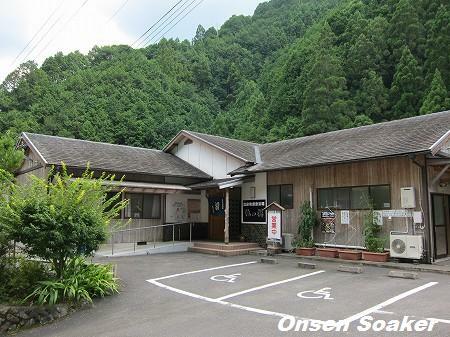 onsen soaker: Taki-no-yu, Tousenji Onsen, Totsukawa Onsenkyo, Nara Pref. Taki-no-yu, Tousenji Onsen, Totsukawa Onsenkyo, Nara Pref. 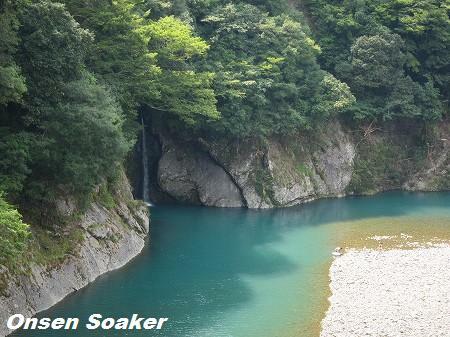 The Japanese word "Taki" means water falls. There is a water fall nearby behind the Totsukawa Village Office. [update] Taki-no-yu will resume business on 1 Nov, but bus services to Totsukawa Onsenkyo is still suspended as of 28 Oct. 2011 as the Typhoon Talas left severe damages in and around Totsukawa Village. Totsukawa Onsenkyo consists of three onsens: Tousenji Onsen, Totsukawa Onsen, and Kamiyu Onsen, located mountainous area in Southern Nara Pref. It's time consuming to visit with public transportation. 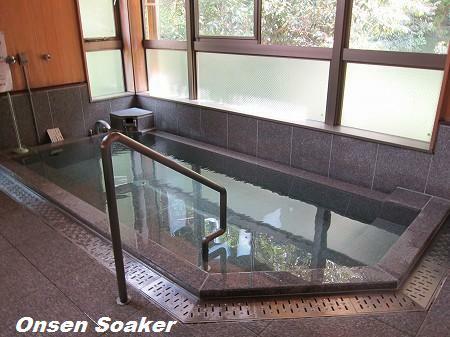 It takes two and half hours by a local bus from JR Gojo Station, nearest railway station to the Tousenji Onsen, entrance of the Totsukawa Onsenkyo. (This bus route is the longest local bus route in Japan, and if you ride through, it takes seven and half hours.) 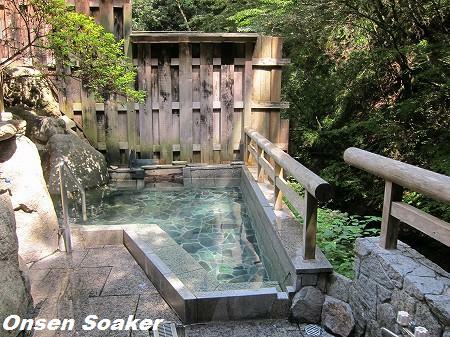 It is oldest onsen in the Tostukawa Onsenkyo, with 560-year history. Opposite angle of the open-air bath. There are narrow streams just beside the bath. Indoor bath for ladies. 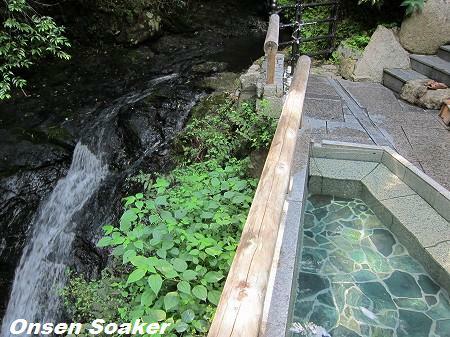 The sulfur hot springs has smooth touch and smells like boiled egg. 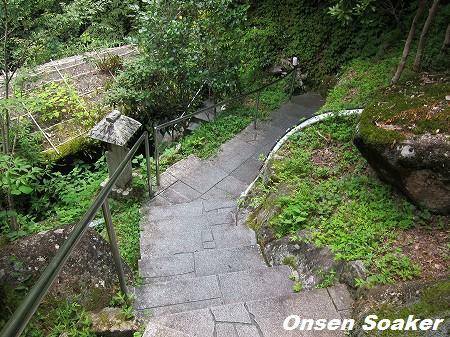 There are steps to the open-air bath from the indoor bath, you can walk between them in your birthday suits. Address: 373-1 Ohara, Totsukawa-mura, Yoshino-gun, Nara Pref. Access: Take a bus from Yamato Yagi Station of Kintetsu Railway or JR Gojo Station to Tostukawamura Yakuba, then walk about five minutes.